Well, you can lay money down with 100% certainty that there will be an Ace Hood/Rick Ross needledrop in Transformers 4, considering Bay’s debut of some of the film’s vehicles on his personal website includes, of course, a new Bugatti. 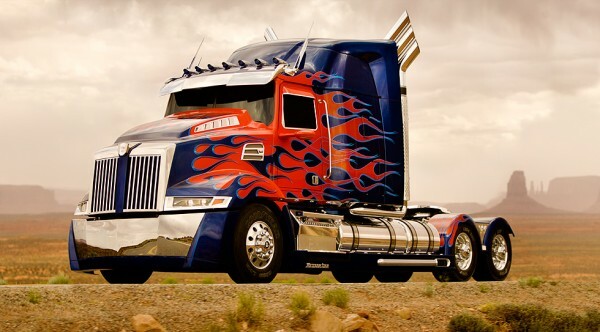 Most importantly is a look at the Daimler Trucks’ custom-built rig that will be Optimus Prime’s new home. He’s still got those wicked blue and red flames, so not much has changed. The real test is seeing how far away from the design sensibility of the first trilogy they’re moving for the actual transformed versions of these robots. Will they still be monsters of infinitely splintered steel, or will we see something more classic? Along with Optimus is the aforementioned Bugatti (a 1,200-horsepower Bugatti Grand Sport Vitesse) which I’m shocked didn’t show up sooner in this franchise. The $2.5m car has been considered the fastest production car on the planet (likely still is) and can break 250 mph- definitely Bay’s style. 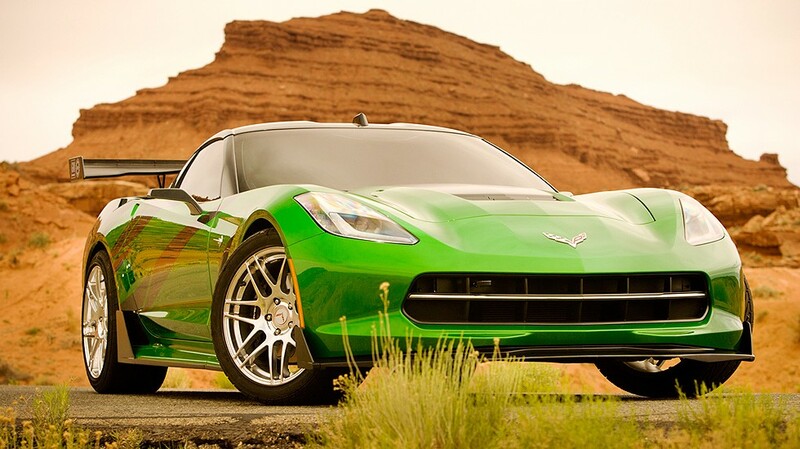 This is a car that goes so fast it has a titanium front grill, because a bird blasted through the original aluminum design during testing. And obviously the Transformer franchise will remain tied in with longtime partners Chevy, as Bay has also featured a C7 Corvette Stingray concept car, on which next year’s model is apparently based. So where’s the shot of Mark Wahlberg all shined up and reflective in the desert sun?